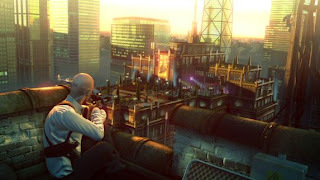 Hitman Sniper Challenge is a short free game that was released as a teaser for Hitman Absolution and that proved to be a success among players. It’s a game that places you in the shoes of the popular hitman and tests your reactions, sniping skill and concentration. The Agent 47 is on a balcony overlooking a roof-top party and has to take out an important business man, Richard Strong, Jr., CEO of Stallion Armaments, as well as his army of bodyguards. Hitman Sniper Challenge may look like a simple game but offers some depth with the score multipliers, online leaderboards, equipment upgrades and secret extras.